Some say the cloud has replaced the PC as the digital hub. That may be true for data, but devices that create that data often need to make at least a pitstop before being distributed, and, increasingly, that interim destination is an app on a smartphone. Information and video can now be applied from sources that range, at least figuratively, from the Heavenly Father’s purview to the depths of the ocean. Backed: God-i. Following the decision to risk incurring the wrath of the Almighty by equating His optical organ to a marginally useful Indiegogo project, the creators of God-i have followed in the footsteps of such wearable crowdfunded camera projects as the whacked MeCam, backed Memoto, as well as the long-available Looxcie line of wearable cameras that tether to smartphones. Consistent with its interest in misplaced deification, the God-i campaign invites celebrities to contact them after placing their order so that they may be featured on the site and have attracted such red carpet lunimaries as Frank Spano and Carlos Clavijo. YES, THAT CARLOS CLAVIJO! OHMIGOD-I! You may not have such star power, but $99 will let you experience the power of a triangular camera that can upload video clips by tethering to your smartphone via Bluetooth – if you can wait until (at least) October. So far, God-i has raised less than 2 percent of its $100,000 goal with about two and a half months to go, but will get any funds contributed due to Indiegogo’s Flexible Funding option. Backed: VERT. We humans may not have the power of heavenly sight, but our legs give us the power to briefly flee from the surface before the tyranny of gravity once again returns us to our earthly sentence. Alas, this capability has enabled us to create an action that cannot be tracked on our smartphones and shared via Facebook and so therefore, some philosophers might argue, does not really exist. Coming to save the day is VERT, a small pedometer-like device with a display that measures leaps and jumps and sends the data to a companion app and the online subject of the 2010 movie The Social Network for bragging rights. 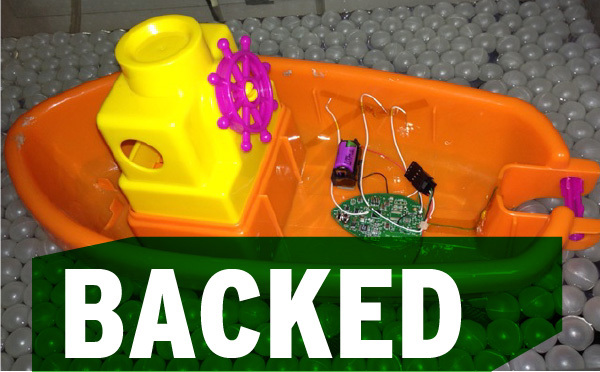 If you’d like to jump in, about 10 days are left in the Flexible Funding campaign, which has raised only about $3,500 of its $70,000 goal. Backed: Plant Link. Moving further down the food chain and distance from terra firma, Plant Link offers a way to monitor your indoor and outdoor plants. The special agents at Champaign, Ill.-based Oso Technologies seek to join the flowering ranks of plant monitors that have left no modern connection method unexplored: the USB-based early entrant EasyBloom, Wi-Fi-based Koubachi, and the Bluetooth-based CES debutante Parrot Flower Power. 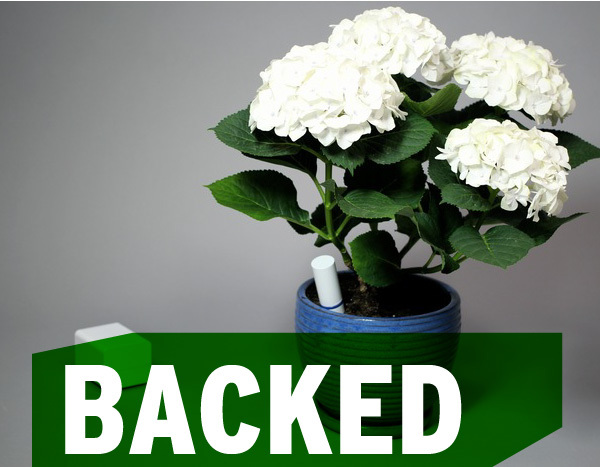 Unlike Koubachi, which threatens to recreate Little Shop of Horrors by letting you “give your plant a voice,” PlantLink focuses strictly on moisture detection and uses the Zigbee standard for communicating with a base station that plugs into your router. Whereas most plant sensors can only tell you what you must do to help your vegetative charges, Plant Link can slickly link to your sprinkler valve for on-demand watering of outdoor plants. Oso also paired up with Kickstarter alum SmartThings and will integrate into that more comprehensive monitoring system once it surpasses its $75,000 funding goal in the next two weeks. Backed: ReelSonar. “The world’s fishing community has been waiting for a long time,” begins the video for ReelSonar. And so will you if you watch the complete video. You can skip the first two minutes of the ReelSonar appeal video, which includes a cheesy animated section in which God, in His perfect willingness to forgive crowdfundees for the God-i, grants a lone fisherman the ReelSonar. Created in Seattle, the video-proclaimed “ultrasound capital of the world,” ReelSonar does not flounder in creating a full-featured appification of the niche electronics category of fish finders. 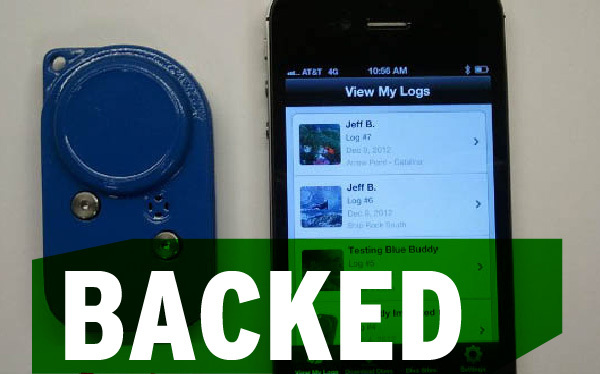 It does this by pairing the iPhone software with a Bluetooth bobber that can light up when it finds fish. Backed: Bluebuddy. If the VERT measures how high can you fly, Bluebuddy (not to be confused with the fictional bar-cruising app) asks how low can you go. The “must-have accessory for the connected scuba diver” started out simply measuring dive depth and water temperature, but DiveNav has added many more measurements in its dive analyzer, including ascent rate, tank pressure profile, dive time remaining and CNS clock if you dive Nitrox (and if you have to ask, you don’t). 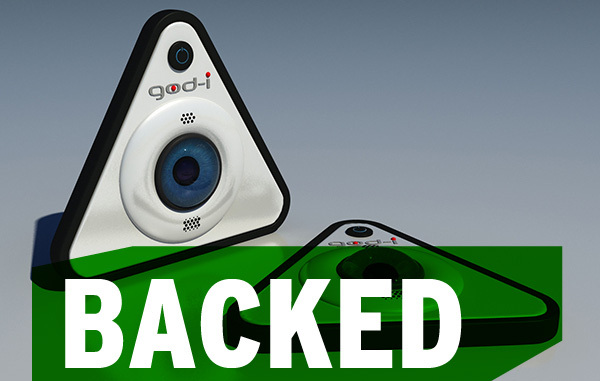 With about two weeks left to go, more than 160 backers have helped DiveNav close in on its $20,000 goal, most of whom have ordered the Bluebuddy for $109 or its deeper-sea version, the TechBuddy, for $139. If you dive in before February 3, DiveNav claims that Bluebuddy can be your buddy in April.